The two plaintiffs argue that’s not true. 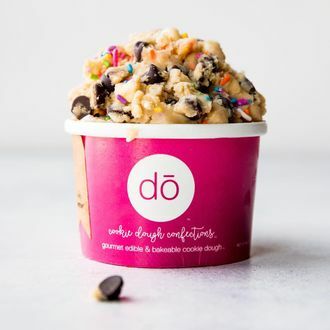 Julia Canigiani and Katherine Byrne say they ate different things — a scoop of oatmeal dough with M&M’s, and a “Sandōwich” (an ice-cream sandwich involving “cookies” made from frozen raw dough). Canigiani says that “within approximately 15 minutes,” she began “experiencing stomach pains.” (That would, admittedly, be a pretty rapid onset.) Last summer’s FDA warning to never again eat raw dough followed an especially nasty E. coli outbreak. Canigiani’s stomachache was almost definitely not from that, since the incubation period typically takes several days. But that’s true of almost every bacterium. Regardless, according to the lawsuit, her stomachache worsened, and by nighttime she was vomiting and had diarrhea. Byrne says she suffered stomach problems, nausea, and heartburn. To show it’s a common problem, the lawsuit also cites eight Yelp reviews in which users complain of issues after eating Dō’s products. This post has been updated to include information from Dō’s statement.